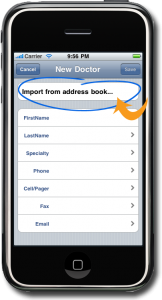 Import Doctors with One Touch | ExpressWell, Inc.
ExpressWell for the iPhone allows you to import your doctor’s contact information from your existing contacts, with the touch of a button. 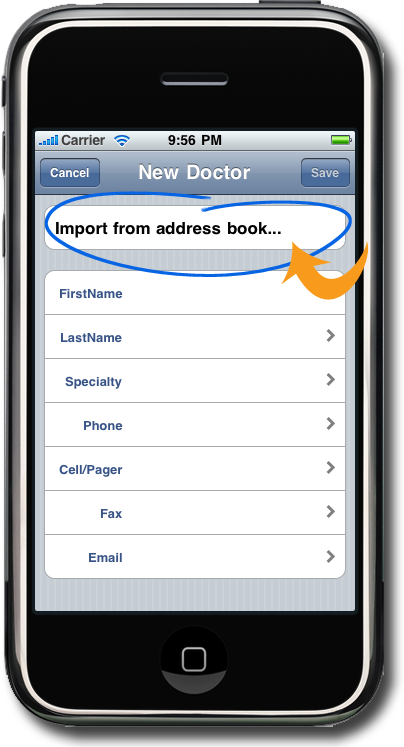 Using this import feature insures that your contact information is consistent with your address book, and it saves you having to enter it multiple times. Import a doctor with one touch!